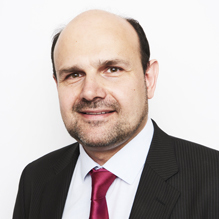 Dr Pavel Fridrich is a highly experienced Consultant Psychiatrist currently working for Essex Partnership University NHS Foundation Trust. He has a medical degree and is a Specialist Associate of the Royal College of Psychiatrists. He is registered on the Specialist Register of the General Medical Council. Dr Fridrich has over 20 years’ experience working in psychiatry. He has been a substantive NHS Consultant since 2006, and has also experience of working abroad and in private sector. Apart from the clinical practice, he has been involved in teaching and research. Experienced at assessing and treating a variety of presentations, including Bipolar Disorder, Depression, Adult ADHD, Anxiety Disorders, Post-Traumatic Stress Disorder and other conditions, Dr Fridrich aims to improve the quality of life through safe prescribing, psycho-education, and therapeutic work. Dr Fridrich has been teaching psychopharmacology for many years, and the medication reviews are his area of expertise. He was trained in CBT and uses principles of CBT in everyday practice. Dr Fridrich is described by his peers as not only an excellent Psychiatrist, but also a compassionate, warm and friendly doctor, with real dedication towards his patients and outstanding communication. Clinical Partners are delighted to present Dr Pavel Fridrich to our Cambridge patients. From my point of view, a psychiatric appointment is not only a meeting of an expert with a client, but also a human interaction of two people. One of them is considered to be an expert, but the other one (a client, patient) has a right to be considered a partner in the process, free in his decision making. The role of an expert is to provide the best possible advice, but it is up to a client to make final decisions about his (her) treatment. My aim is to provide a thorough assessment, then to make clear conclusions about the nature of the problem, and together with the client to design an individually tailored treatment plan, which may include starting or adjusting medication, suggesting psychotherapy intervention, or simply providing a lifestyle advice. As a physician I have always tried to help to improve my patients’ lives to the best my abilities, and it continues to be the main drive of my work in medicine. You don't need a GP referral to see Dr Pavel Fridrich.